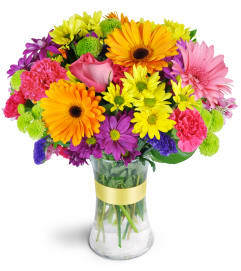 Put some spring in their step with our charmingly fun Spring Forward Bouquet™! 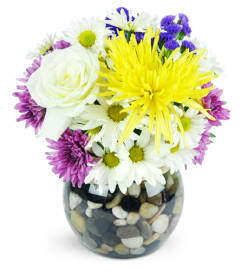 For Easter, Mother's Day, and more, these pastel hues are a perfect pick-me-up and will convey your love with cheer! 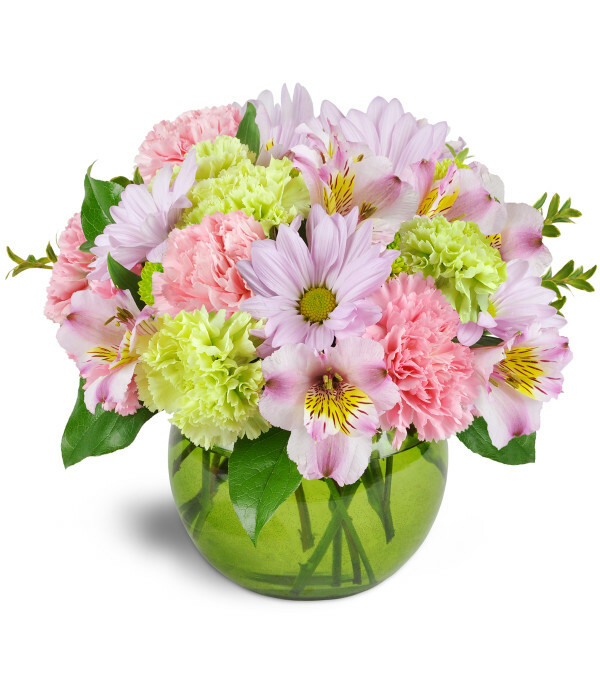 Pastel pink and green carnations, daisies, alstroemeria, and more are arranged in a lively green glass bubble bowl. 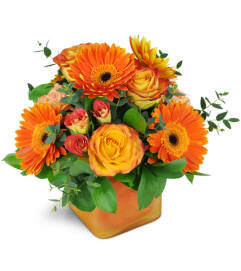 Amazing flowers and delivery service! 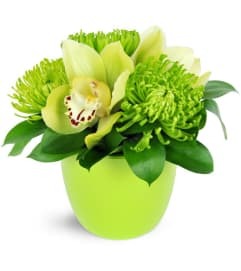 I now have a new flower place!